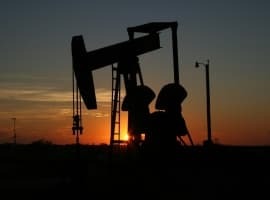 Ecuador announced its withdrawal from the OPEC agreement this week, a move that could shake the foundation of a deal that was already starting to show some cracks. "We need funds for the fiscal treasury and for that reason we've taken the decision to gradually increase production,” Ecuadorian oil minister Carlos Perez said, according to Reuters. Ecuador is running a fiscal deficit equivalent to 7.5 percent of GDP. Low oil prices are really hurting government finances, and production restrictions only add to the pain. With oil prices having posted few gains from the deal since it was implemented at the start of the year, Ecuador decided enough was enough. It needs to produce as much as possible. In any case, Ecuador was not even fully complying with its cuts – it had only actually throttled back on output by about 16,000 bpd. As such, the return to full production (or near full production) probably won’t even be noticeable. Ecuador’s oil minister acknowledged as much. "What Ecuador does or does not do has no great impact on OPEC's total output,” he said, according to Reuters. “Ecuador’s latest statement will not matter for global balances but it shows the challenges for OPEC members given the cuts failed to raise prices,” Amrita Sen, chief oil analyst at Energy Aspects Ltd., told Bloomberg. Ecuador’s move could “again give rise to fears of the deal falling apart,” she added. Moreover, Ecuador’s move is even more significant because it has openly declared that it was not even complying with its commitments to begin with, and it will no longer pretend that it is trying to comply. Typically, members speak to their full faith in cooperation while they quietly cheat. The public announcement from Ecuador that it can’t afford to continue to cooperate will be more psychologically damaging than had it just quietly cheated. That’s especially true because Ecuador is not the only country hurting, and its withdrawal opens up the possibility that other members also return to full production, citing their own financial difficulties. OPEC compliance was already beginning to deteriorate. In June, the group’s compliance slipped from 95 percent to 78 percent, although most of that came from rising production from exempted members Libya and Nigeria. 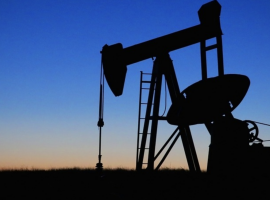 The cracks forming in the OPEC agreement may have prompted another recent headline, clearly intended to counter the narrative that OPEC is struggling to keep everyone on board. On Tuesday, Bloomberg reported that Saudi Arabia might actually be considering deeper cuts, perhaps as much as 1 million barrels per day (mb/d). That would be more than twice as much as it promised to cut as part of the deal, and would equate to more than half of the full 1.8 mb/d of OPEC/non-OPEC reductions. Oil prices jumped on the news. However, if compliance from other countries begins to fall apart, at some point, Saudi Arabia, which has shouldered the lion’s share of cuts, could grow exasperated with non-compliance and return to full production. “If you guys don’t want to participate then let’s just dump the oil price down into the $20s and see how funny that is,” Torbjorn Kjus, an analyst at DNB Bank ASA, told Bloomberg, summing up the hypothetical Saudi response to weakening compliance from its peers. Just let the market decide. Whoever can produce the cheapest, likely Saudi Arabia can sell all their oil and then other producers if there is still a requirement for oil can sell their own at a price they can make a profit at.